If you had to choose only two things to teach your parrot, these would be the ones to pick. This means training your parrot to step up onto your finger or wrist (or hand-held perch) on command, and then step back off again. These are relatively easy and extremely important skills to teach. Stepping up is quite a natural movement for a bird so it is generally easy to train this on command (stepping down is a bit trickier to teach). Getting your bird to step up and step down on command makes handling much easier and helps you to set some boundaries for your bird (for example, you can more easily remove your bird from areas of you home that are not bird-proofed, return a bird back to his or her play gym or cage, etc.). If you have a baby bird, he or she is probably pretty cooperative but starting early with the step up and step down commands is still a good idea. 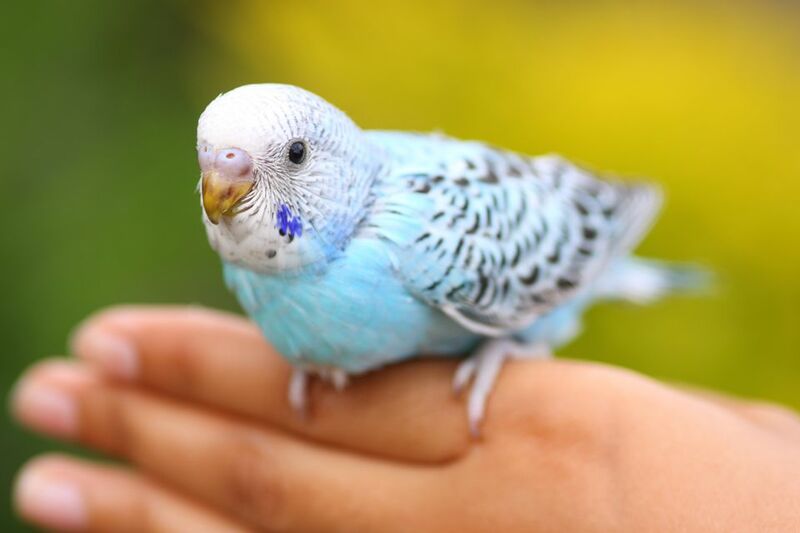 Not only does training a cooperative baby allows you to give lots of positive reinforcement, it sets a good foundation for training more skills to your bird in the future. Can I Get My Bird to Like Being Petted? - some birds do not take to being petted as it is not a natural behavior. However, you can apply the principles of parrot training to increase your birds acceptance of contact, as long as you work to understand your bird's personality and body language.